When you are relocating your business, you need to get the assurance that the moving procedure will be smooth and will have no negative effects on your business routine. To attain this, you need to look for a great office removalist. We pride ourselves as one of the most professional and trustworthy office removalists in the city. We understand the difficulties our customers face in office moving, and this is the reason that we work hard to offer you an awesome moving experience that will make it easy for you and your personnel to adopt to the new environment. We have withstood the troubles that present in this competitive industry for years now, hence we have established unrivaled skills that we use to guarantee you experience a problem-free office removal services. To us, it doesn’t matter how huge or little your office is, or the amount of products that have to be moved. We appreciate that our clients have various needs, and this is why we take all tasks with the severity they should have, their magnitude notwithstanding. With our wealth of experience mixed with cutting edge equipment, we guarantee a desirable transit of all your office items. Over the years, we have moved many business clients across the city; hence we will have a solution to your unique moving needs despite how complicated they are. 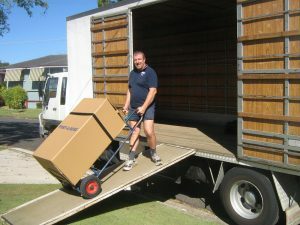 Some movers believe that moving is extremely easy as long as machinery is available; therefore they choose to employ quacks who they believe will offer low-cost labour. If you work with these types of movers, you might risk losing vital files and office equipment on transit. All our professionals are fully trained on the job, and we offer continuous internal training so that they can keep abreast with modern trends in the market. We do not just train our professionals to be good movers. We equip them with helpful interpersonal skills that help them engage with our customers, providing invincible customer experience. We are an active member of different expert organizations, and we participate in various training and workshops they organize. This not only hones the abilities of our professionals but also advances their profession. Provide a packing service so that you and your personnel can concentrate on growing the business (this service is optional). Provide a pocket-friendly professional, and swift service. Move your office belongings at a time that best suits your business. Offer packing boxes, and recommend to you on what you can do to smoothen the moving process. Have sufficient advanced moving equipment that ensures safe transit. Have friendly experts who will move you and your office goods when the big day comes. Don’t suffer in the hands of scammers! Don’t be in a haste to go for any office removalist you stumble upon. You may end up losing all your business arsenals. Instead, call us today and we shall give you a quote that complies with your spending plan, and conveniently move your office.